His birth was born in a Jat family. Date of birth Magha Shukla Chaturdashi Viksk 1130 Birth Place Kokinka Krnal (Nagaur) is. -rajkunvr Mother, father – Tahd living area of their jurisdiction Haduti Haktejaji in Ajmer is popular nickname Hakinka Kteja G Murthy Aradhy Jats – protector god of agriculture operations, discharge of donor cows, black and Bala god they know the name of the Doliavir Kajmer Hakteja Godla priest called G G trestle Hakteja name Liln (Sinngari was). Sadria- bitten by the snake god of Tejaji Thaksursra (Kishangarh) Tejaji heroic here get up to speed with the state’s Fair Hua.tejaji heroic Tejaji Hakteja live cattle fair is held at the state fair most revenue from Minaon Haklachhan went to redeem my cows and struggled to get up to speed Veer Veer Tejaji Hua.vir Tejaji symbol – Aswarohikvir Tejaji other sword in hand – Pumuk venue – Beawar , Sandria, Bavnta, Sursra. Upducasmer born, Shiva tehsil (Barmer) took part in Ramdev Twnr were Rajput ancestry. Ajmal, the name of his father-in-law mother-in-law of the flag Thakramdev Manade, Khtali Neja Neja white side or the five colors are of Baba Ram Dev Ji was the only folk deity, who was also a poet. Ram Dev Ji’s composition “Cabis Bania” is called. Ramdev the symbol “Pglye is”. Ramdev called the epic song Byavle. Ramdev Ji Meghwal devout “Rikia” guru Ramdev called “Balnath” Gee said.Ramdev’s key Place Ramdevra (Runia), Pokhran tehsil (Jaisalmer) and the birthday of Baba Ramdev Badrshukl dooj (Baberi seed) happened. Ram Dev Ji’s leading fair of Badr Badr dooj Shukla Shukla Ekadashi fills up. Their main attraction of the fair “Trhtali dance” happens. Sought by the (Udaipur) Terhtali dance is famous Nrityagna. Ram Dev Ji in fair Terhtali Kamd community dance is performed by women. The Baba Ramdev Ji is the incarnations of Krishna.They have little Ramdevra Gujarat. His passenger side ‘Jatru’ is called. Ramdev is equally popular in both Hindu and Muslim. They called it Ramsapir them is Muslim. Pir of them is called Pirs. Untouchability and caste discrimination to erase Ramdev ji “Jmma awakening” campaign. Ramdev Ji Godeh name was Lila. Ramdev Ji Meghwal caste “Dali Bai” made his sister. Ramdev Ji’s scroll is read out Meghwal caste people do Kamd path. Pabu Ji born – 13th century (1239 AD), happened. Kolu village of Phalodi in Jodhpur district in the Rathore clan was. Goga Ji married – Amarkot Fulmde was the daughter of Suraj Mal soda. Pabu G Nickname – Lord of camels, plague protector god, Raica / Rebari caste god etc. Raica Pabu g / Rebari race Sirohi is primarily concerned. These first camel in the Marwar region is credited with bringing to Pabuji. Pabu the Minister Deval Charni cows redeemed by his brother, took Jind Rao. Pabu is called the G Pvadeh folklore.Mat instrument is used. He is off his state’s popular scroll. Pabu Ji Biography “Pabu Light” composed by G. Aansia twist. Pabu Ji Kalmi saffron is named trestle. The key to the new moon of Chaitra Mela Kolu village fills Hakinki off his speech at the “Ravnhttha” The instrument is utilized. The main symbol – the cavalry had a spear in hand. 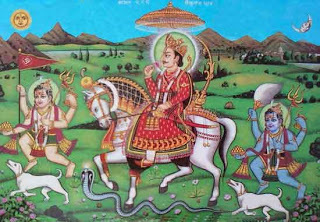 Malli Nath Ji born – Tilvada (Barmer) happened. Janide – Rawal Slkha (parents) Malli Nath Ji Chetr Krishna Ekadashi Fair fills up the Chaitra Shukla Ekadashi. The fair is also held with the cattle fair. Which mainly breed Kankrej Tharparkar and trading. Barmer region of the same name by the name of Malli Nath Ji had Malani area. Location- born Bhundol Hrbhu G / Bhundel (Nagaur) happened. Rajput family associated with G Sankhala Hrbhu Thekor Hrbhu cousin Thekhrbhu G G G Ramdevi temple Bengti grams (Jodhpur) to liberate the Hakmndor Hrbhu Minister Rao Jodha had presented the dagger. Mndor Rao on being successful in the campaign to liberate the village Vengti Hrbhu Ji was offered. Versed in the scriptures were prognostic Hrbhu G. Their car is worshiped in the temple of the Hrbhu. Hrbhu G Guru – Balinath law. Ji Ji Upanam- Mamdev rainy Dewatakmamdev popular god of western Rajasthan. Mamdev law to appease the buffalo are sacrificed Hakmamdev G Become a wooden sculpture in the temples are artistic Turn. Iloji G nicknamed – has broken into the western area popular Jaisalmer Iloji ji ji Temple Dewatakiloji Iloji (Jaisalmer) is in. Tllinath G’s real name – Gagdev Rathore Ktllinath Guru Ji – Jlndharnath (Jalandhar Nath nor the Tllinath Gagdev named.) The five-faced mountain – Panchota g (Jalore) as the rider on the mountain of Baba Tllinath the statue. And Llinath Minister Shergd (Jodhpur) ruled Dikan. Bhomia G groundscare god is worshiped as a village.